Scott Pyke — Flex Work. Full Life. Scott Pyke is a flexibility enabler! In his role as General Manager at avt, Scott is responsible for creating ‘Australia’s most flexible role’, where one of his team members (fellow Ambassador Yasmin Grigaliunas) works full-time and fully flexibly travelling around Australia in a caravan with her family. Scott’s transformational leadership style sets him apart from conventional leaders. Scott truly believes that it’s people who matter most, and he inspires real change by strategically providing a safe place for individuals to find the space they need to deliver outcomes beyond expectation. Scott has successfully introduced and implemented agile methodologies throughout the core of the business, and this has resulted in empowering teams to lead themselves to provide improved outcomes. Flexibility at avt is underpinned by trust and transparency, both of which come naturally to Scott. With transparency as a foundation, Scott enables those around him to think about more than work, at work. 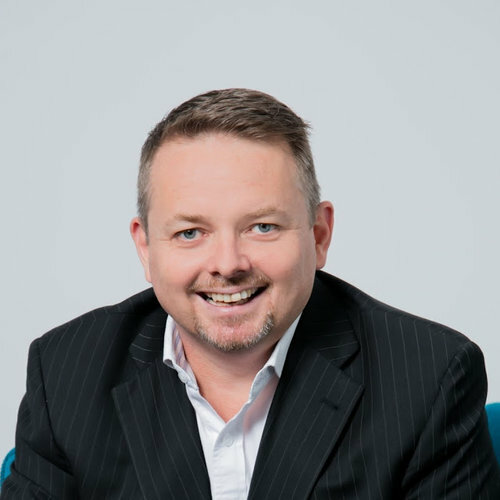 Scott practises mindfulness daily, and has taken many of the team on the journey of journaling, creating much needed space through self-awareness and the emotional intelligence discovery. Scott’s ability to build trusted relationships is inspirational! He is a true transformer and leader, in not only flexibility in the workplace, but in living and leading family first values in business.